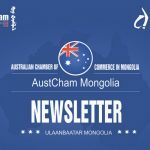 Australian Chamber of Commerce in Mongolia has a limited ability to fund donation requests for projects and events. We have created these policies and criteria as a guide for those interested in making requests for donations. All projects must fit within our scope of purpose and adhere to our Mission. 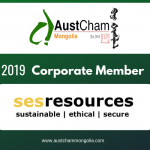 The Australian Chamber of Commerce of Mongolia (Chamber) is a non-governmental organisation which conducts its operations for the interests of its members on a not-for-profit basis. The Chamber will contribute to the development and enhancement of social wellbeing and supporting charitable works in Mongolia. The objective of this donations policy (Policy) is to outline the rules and obligations of the Chamber in relation to the provision of donations to charitable entities in Mongolia (Entities). (a) Subject to this Policy and any budgetary limitations of the Chamber, the Chamber will use its best endeavour to support approved charitable works, events, projects and programs (together the Projects) by way of donations to approved Entities. (b) The Chamber may receive and invite proposals from time to time from Entities. (ii) outline any special aims or target Entities and Projects. (a) A formal donation request (Application) may be made to the Chamber by Entities by completing and submitting the ‘Donation Application Form’ attached as Schedule 1 of this Policy no later than 30 days prior to commencement of a Project. (b) Each Application should address the principles and guidelines stated in clause 6. (c) Each Application shall be submitted to the board of the Chamber via email info@austchammongolia.com for review and approval. (d) During the period of consideration, Entities may be asked for further information, or invited for a meeting with the Chamber, in relation to their Application and Entities are encouraged to comply with such requests. The Chamber will assess each Application in accordance with this Policy, the Chambers financial budget and, except where stated otherwise, in its sole and unfettered discretion. (a) Applications for less than MNT1,000,000 should be assessed by the charity committee of the Chamber within 15 business days following the receipt of an Application in normal circumstances. (b) Applications for more than MNT1,000,000 should be assessed by the board of the Chamber within 60 days following the receipt of an Application in normal circumstances. (c) All donations under 5.2 (a) must be approved by the charity committee and donations under 5.2 (b) must be approved by the board of the Chamber in accordance with this clause 5.2 and this Policy. (d) The decision of the Chamber issued in accordance with the Chamber’s charter or any other documents in relation to an Application will be communicated directly to each Entity following the decision being made. (e) Successful Entities must comply with this Policy and any reasonable directions of the Chamber in the use of any donations and must use those donations solely in relation to the approved Project. (f) The approved amount can be varied up or down from the requested amount at the discretion of the board of the Chamber. (g) Donations may not exceed the annual donation budget of the Chamber set from time to time without board approval. (ii) in kind contribution (including but not limited to any food, merchandise, services or other assistance that the board, or the charity committee of the Chamber, sees fit). (p) where donations are to be used for social and / or personal activities of organisations and individuals. (a) Projects may not be funded retrospectively. (b) Only one Application per Entity will be considered per calendar year, except where the board/committee determine there are exceptional circumstances, may accept more than one application but for different projects. (c) Entities will be required to publicly acknowledge and / or provide recognition of support of the Chamber as an outcome of the Chamber’s donation support commensurate with the level of support provided. (d) Donations will be made directly to the Entity and the Entity must provide receipts and reports for expenditure if requested by the Chamber. (e) If requested, Entities must report to the Chamber and account for donation expenditure on or before the date which is two months after expenditure of the donation, or which is two (2) months after completion of the Project. Failure to report will result in the Entity being deemed not eligible for consideration of further donations or in kind assistance from the Chamber. (a) The Chamber has zero tolerance of child abuse or exploitation. (b) Entities must always ensure that they prevent child exploitation and abuse at all times. Entities must have proper policies and procedures to protect children from all types of abuse or exploitation in the course of the implementation of the Projects. (a) The disbursement of donations to Entities will be monitored by the Treasurer of the Chamber. (b) The Treasurer of the Chamber must submit quarterly reports on donations by the Chamber after each distribution of donations. (c) The Treasurer of the Chamber shall maintain a register of all donations and contributions by the Chamber executed in each financial year. The register will contain information on Entities and Projects who have received donations, amounts of donations or description of in-kind contributions and the purpose of the donation or contribution. (d) The Treasurer of the Chamber will maintain the charity accounts, hold all raised funds and make all payments pursuant to the Policy. (e) The Treasure of the Chamber will authorise all payments to successful Entities via the Chamber’s office. (f) Copies of the charitable accounts will be made available to members of the Chamber on request, and submitted to the board quarterly. (a) The board of the Chamber may decide to organise fundraising activities in aid of those affected by a national emergencies or exceptional crisis in Mongolia. (b) All fundraising events will be organised by the board or charity committee of the Chamber in their sole discretion. For more information about the Policy please email info@austchammongolia.com. The Chamber reserves the right to make changes to this document at any time. Please click below link to download the application form to fill and send to info@austchammongolia.com. Please click below link to download the application form in Mongolian and send to info@austchammongolia.com. Statements of fact and opinions expressed by guests or participants in AustCham events are those of the participants individually and, unless expressly stated to the contrary, are not the opinion or position of AustCham, its sponsors, members, directors or staffs. Any statements of fact or opinion are intended for general information purposes only and do not replace independent professional judgment or opinion. AustCham does not endorse or approve, and assumes no responsibility for, the content, accuracy or completeness of the information presented. Attendees of AustCham events should note that photographs from events may be published in various media, including print, audio and video formats without further notice. The information contained in this website is for general information purposes only and does not replace independent professional judgment. While AustCham endeavours to keep this information up to date and correct, we make no representations or warranties of any kind, express or implied, about the completeness, accuracy, reliability, suitability or availability of the website or the information, products, services, or related graphics contained on this website. AustCham will not be liable for any loss or damage, without limitation, whether direct or indirect, and including consequential loss or damage, whatsoever arising from use of this website. Through this website, visitors may link to other websites which are not under the control of AustCham. We have no control over the nature, content and availability of those sites. The inclusion of any links on this website does not necessarily imply a recommendation or endorse the views expressed within them. 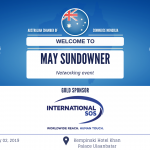 Founded in Mongolia in 2013, The Mongolia-Australia Chamber of Commerce’s (AustCham Mongolia) overriding goal is to advance Australian Business in Mongolia.